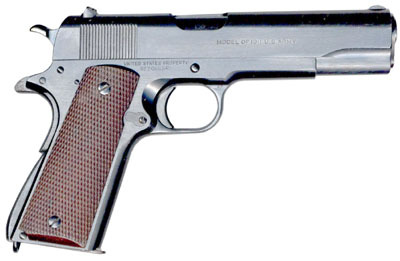 Colt Model 1911A1 Transition Model - Serial number 708694 belonged to Edward Smith's great grandfather, Quentin Miller Smith, Sr., when he was in the Army Reserves. Quentin Miller Smith, was president of Tennessee Tech from 1920 - 1938. 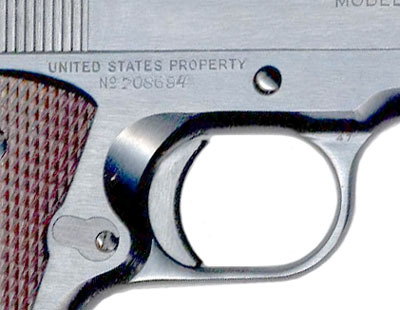 WTG inspection mark, 47 on right trigger guard. Fully checkered walnut grips. 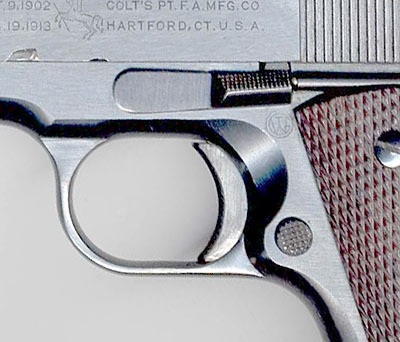 Only 10,000 pistols were made in 1924.